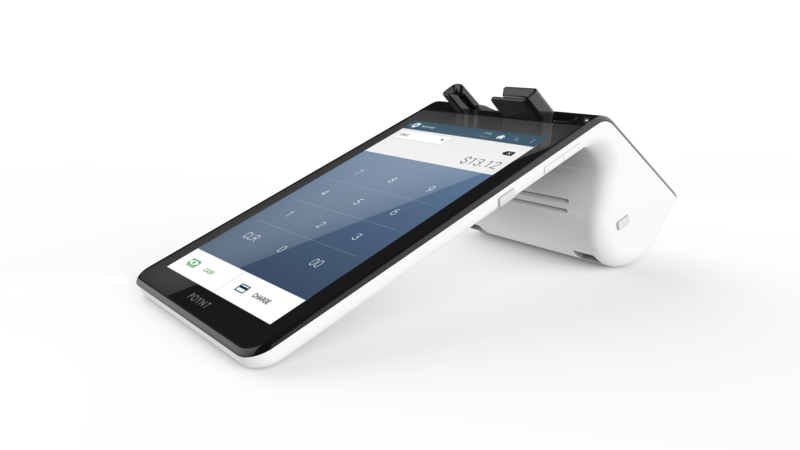 The 3G capable P61 Smart Terminal allows merchants to connect wirelessly using a cellular network. If your Poynt device is 3G capable, its serial number will include a C or G instead of the usual W.
1. You should have a 3G Capable P61 device, SIM Card, and a sharp needle-nose tweezers on hand. 2. Follow normal activation procedure to associate the device, connecting the device to the Merchant's bank and Poynt.net account. 3. Create and select the Terminal user. Log in. 2. 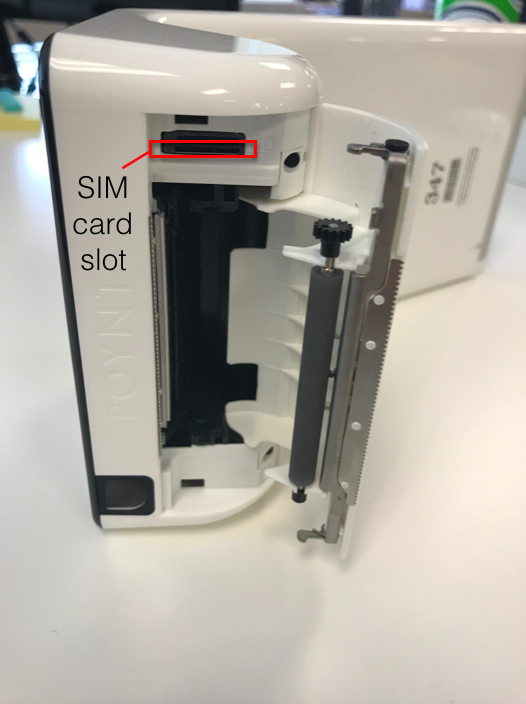 Some models of Poynt P61s will have two card slots - one for an SD card and one for your SIM card. The SIM card goes into the longer slot. The correct slot is also indicated below (left). Some other models P61s just have a SIM card slot (right). This one has a push-in-bounce-out mechanism so you may not need tweezers to remove the SIM card. 3. When inserting the SIM Card, make sure the notch on the SIM card is oriented so the upper right is inserted first with the gold contacts face up. Make sure to not damage the connector pins in the slot. Gently push the SIM Card all the way into the slot. 4. When removing the SIM card in the older P61s (pictured above left), you’ll need sharp needle-nose tweezers to carefully pull the card out. They do not have a push-in-bounce-out mechanism. 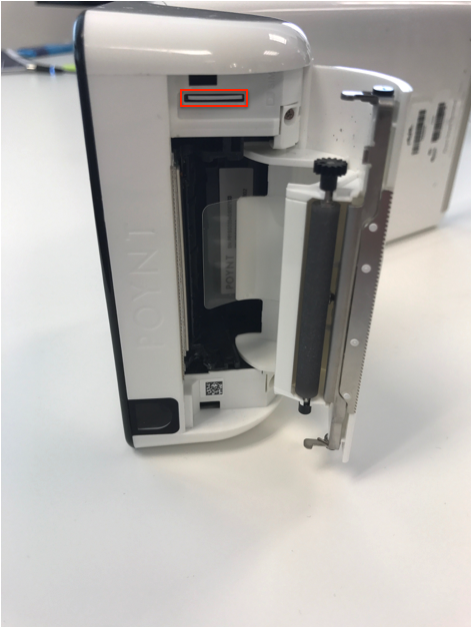 Be careful to not damage the connector pins inside the slot. For larger cellular providers like AT&T or T-Mobile, the terminal may connect automatically at this point. 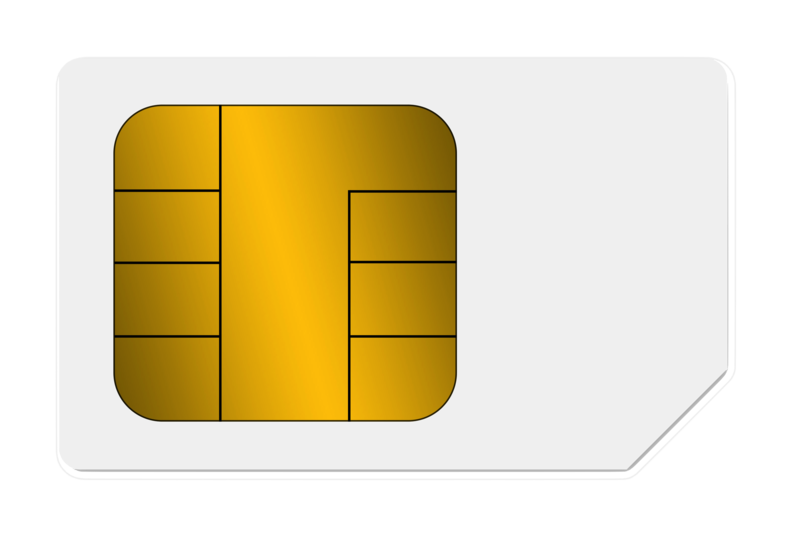 If using FreedomPOP provided SIMs, please continue to Configuring the Mobile Network below. After the reboot, you should see the icon at the top right showing your Poynt terminal connected to the cell network. If you only see the 4 bars, this means your device has no signal.